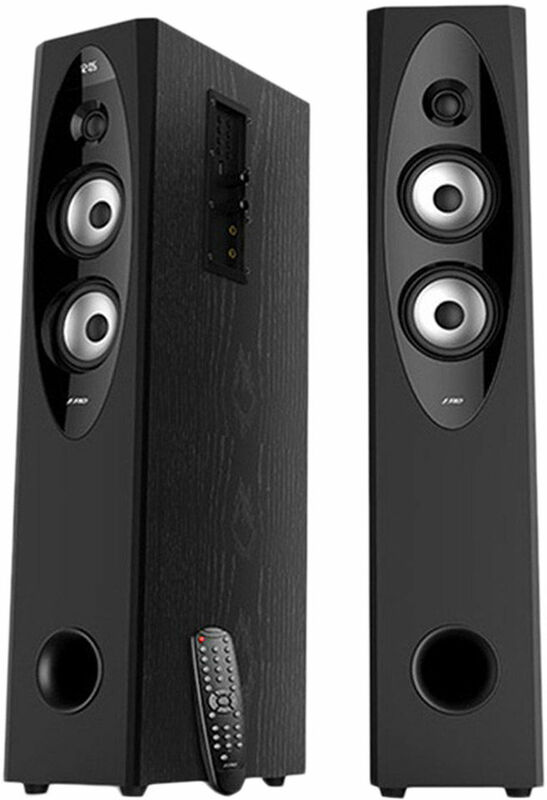 For Audiophiles, having these speakers is must to enjoy quality music. This wireless, bluetooth enables speaker boasts of an elegant design, which is sure to enhance the aesthetic value of your home. For music lovers, this is no less than a surprise, as they are all set to amplify your audio listening experience through the brilliant features..
Its sound like Booom...amazing, I was searching speakers for long time and finally i got it at infibeam. Great speakers with good bASS! Really good set of speakers with amazing sound quality. I would rate it 9.5/10 for this price range. Go for it without a doubt !! I bought this speakers last week. The sound quality is just awesome. I paid 9575₹. Recommended!!! Thank you infibeam. The Speakers are extraordinary and who are looking for a compact yet powerful speaker system. Connect it with your TV and I am sure you will be immersed in a superb audio experience. Loaded with features such as Bluetooth , NFC and usb makes it easy to connect and play audio wirelessly. Definitely one of the best from F& D. If you youtube the model number F&D T60X you will find review that are positive and solid about this speaker.